Financial Supervisory Service Gov. Kim Ki-sik resigned Tuesday, once again highlighting problems in Cheong Wa Dae’s vetting process. After Kim took office, it emerged that he had donated 50 million won ($46,800) to an association of Democratic Party lawmakers near the end of his term in the parliament in 2016. The former FSS chief was also found to have gone on a number of overseas business trips funded by state-run organizations during his parliamentary term. On April 12, Cheong Wa Dae requested the National Election Commission to assess issues surrounding Kim for possible violations of regulations. The NEC on Monday reviewed the related issues and said that Kim’s donation to the think tank violated the Public Official Election Act. The NEC also said that the legality of the overseas trips funded by state-run organizations depends on a number of factors. Kim tendered his resignation Monday, which was approved by President Moon Jae-in on the following day. Kim is the eighth minister-level official tapped by Moon to resign from the post or withdraw before taking office. Developments surrounding Kim have sparked criticism from opposition parties, calling for an overhaul of Cheong Wa Dae’s vetting system. The main opposition Liberty Korea Party is calling on Moon to remove Senior Presidential Secretary for Civil Affair Cho Kuk, accusing the civil affairs office of failing in its duties. The civil affairs office is in charge of vetting candidates for high-level posts. “It is clear that Cho, who acted as the defender and comrade of Kim, is unfit for office. The president should immediately remove Cho,” Liberty Korea Party spokesperson Rep. Jun Hee-kyung said. The Bareunmirae Party is also raising the heat on Cheong Wa Dae, with its Co-chairman Rep. Yoo Seong-min calling for a public apology from the president. 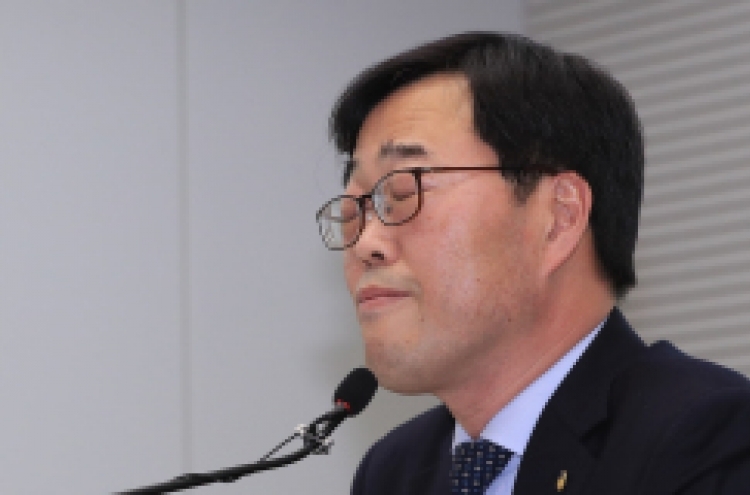 Yoo also said that Kim should not have been allowed to resign, but should have been dismissed by Cheong Wa Dae and subjected to a criminal investigation. In addition to the conservative bloc, the minor left-wing Justice Party has joined the fray, calling on Cheong Wa Dae to reform its vetting process. While the Justice Party is largely supportive of the Moon administration, the party has been dubbed the wielder of the “death note” for Moon’s personnel selections, with individuals opposed by the party all failing to take office. Figures opposed by the Justice Party include Ahn Kyong-whan and Cho Dae-yop, nominated as justice and labor ministers, respectively. 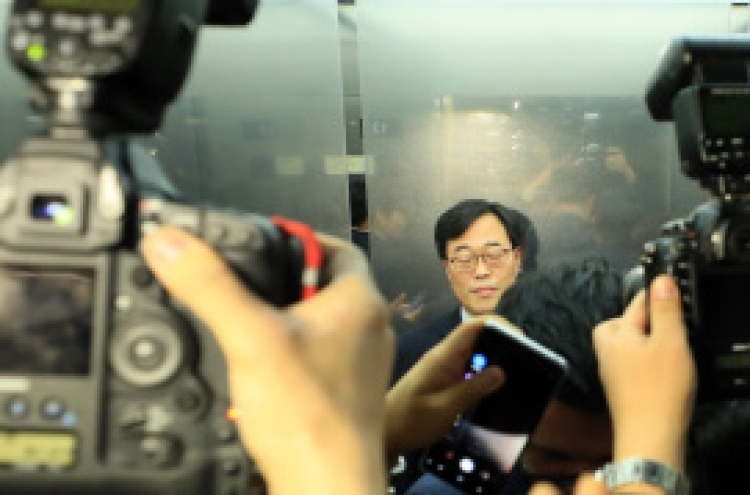 Cheong Wa Dae, however, maintains that its vetting process is valid, and that the blame for recent developments should not be pinned on the office of the presidential civil affairs secretary. 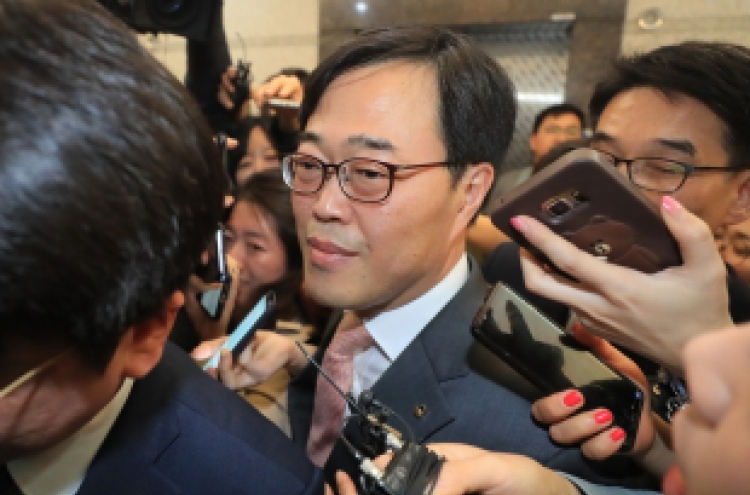 According to a high-level Cheong Wa Dae official, as the questionnaire used in the vetting process does not include matters concerning political funds remaining after a lawmaker’s term, the civil affairs office could not have assessed the issue. The official added that as the former FSS chief did not volunteer related information to the civil affairs office, the civil affairs office could not have detected any potential problems with Kim’s appointment. He added that Kim had received an NEC interpretation on his donation beforehand, and that he appears to have assumed the matter to have no legal implications as no actions were taken against him. While the presidential office defends Cho and his office, developments surrounding Kim have served as a reminder of the failed personnel choices made by Moon.Cho’s office had allowed a number of nominations to be made despite significant flaws. Some of the more serious findings regarding past nominees include Ahn’s record of having filed a marriage certificate without the knowledge of the woman concerned, while Cho Dae-yop stepped down over a number of issues including driving under the influence of alcohol. As for Kim, he hinted that there may be larger forces at play behind the developments that led to his resignation. He also said that he is unable to accept some of the criticism against him and that related developments were the result of his lowering his guard.